This great quality chunky personalised photo frame measures 22 x 17 x 2.5cm and fits a 6" x 4" photo. It has a stand on the back. Engrave with a special message, names or date or all 3! As standard we will engrave the bottom of the photo frame, if you would prefer your personalisation elsewhere please advise when you place your order. Please let us know if you would prefer it Portrait or Landscape orientation. 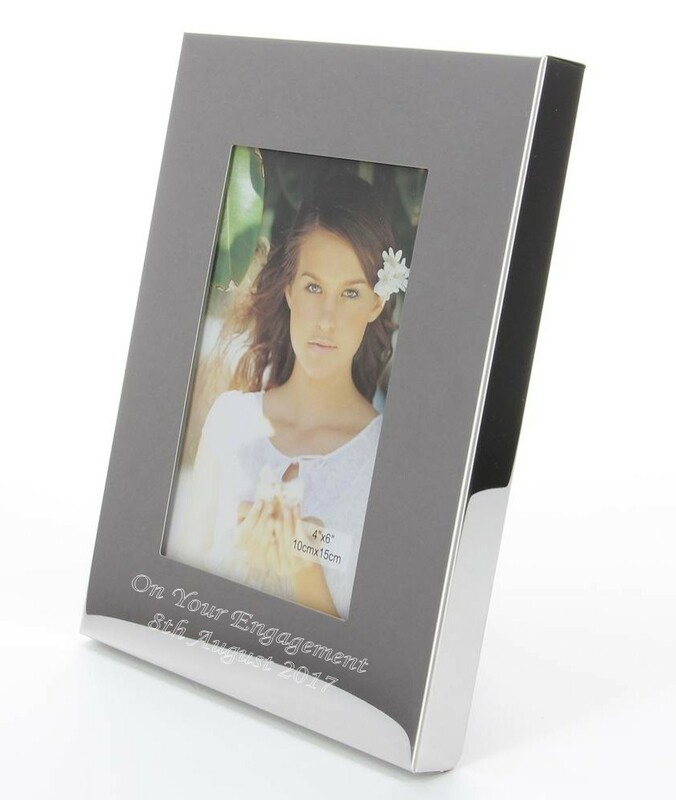 A great present to put your Wedding/Engagement photos in.